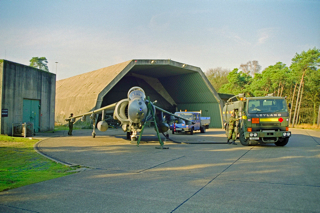 During the cold war, The Royal Air Force had several stations in Germany. 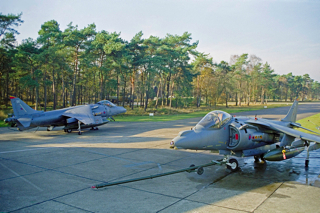 One of them was RAF Laarbruch. 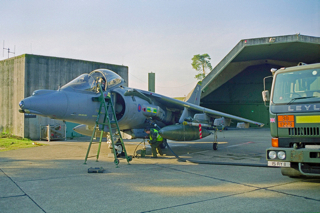 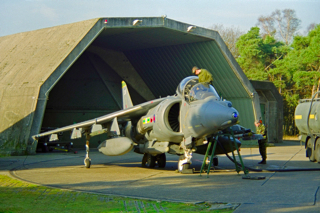 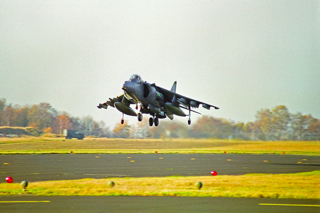 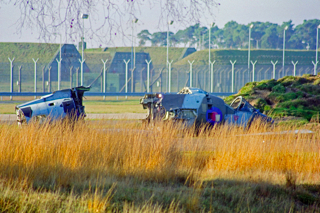 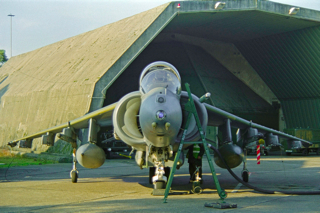 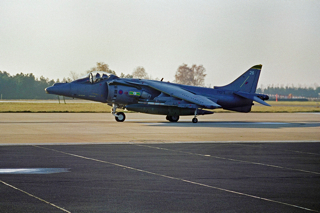 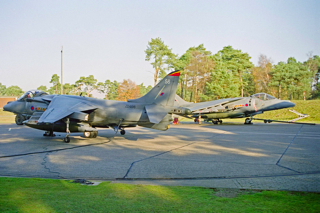 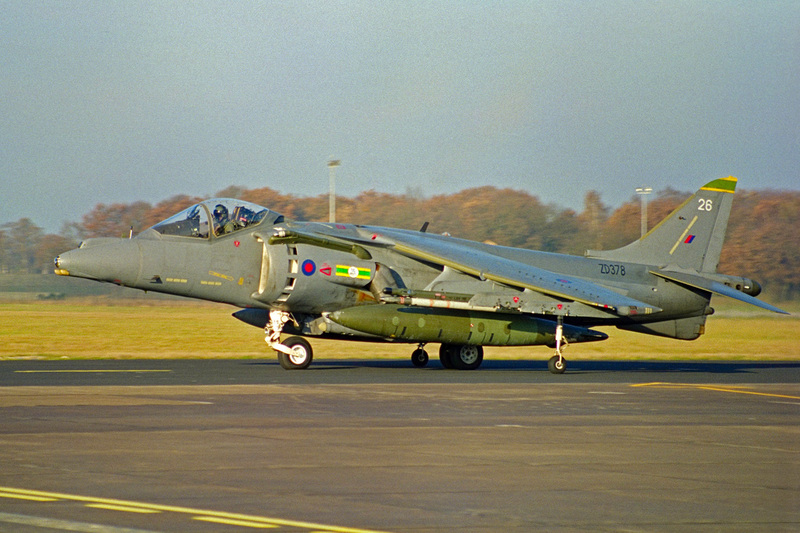 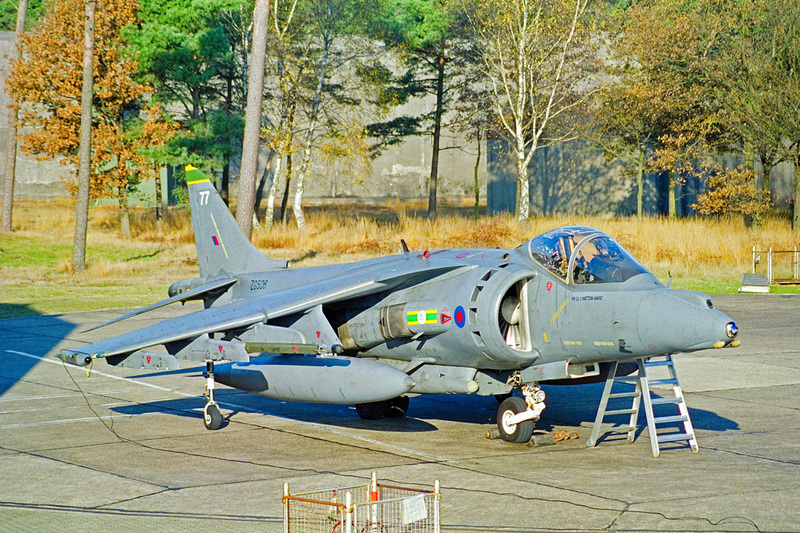 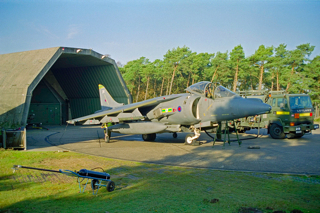 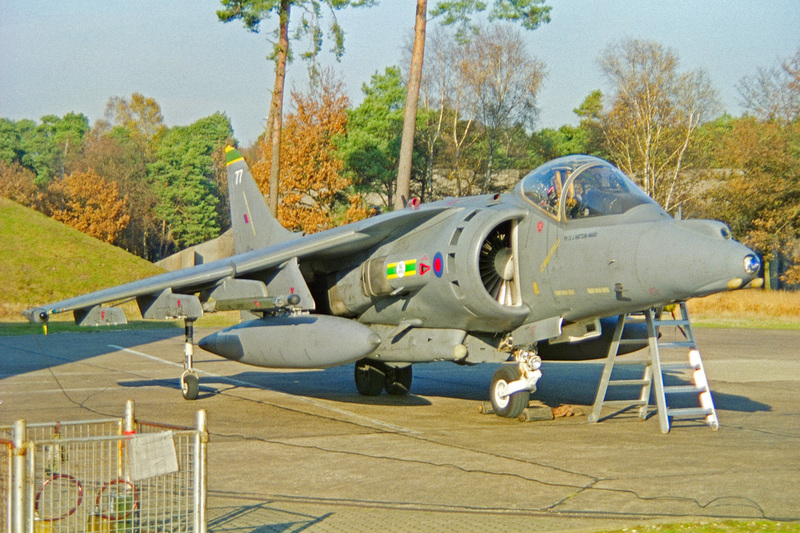 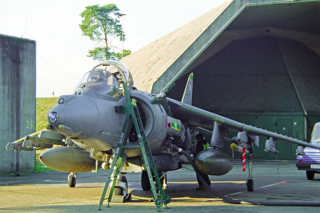 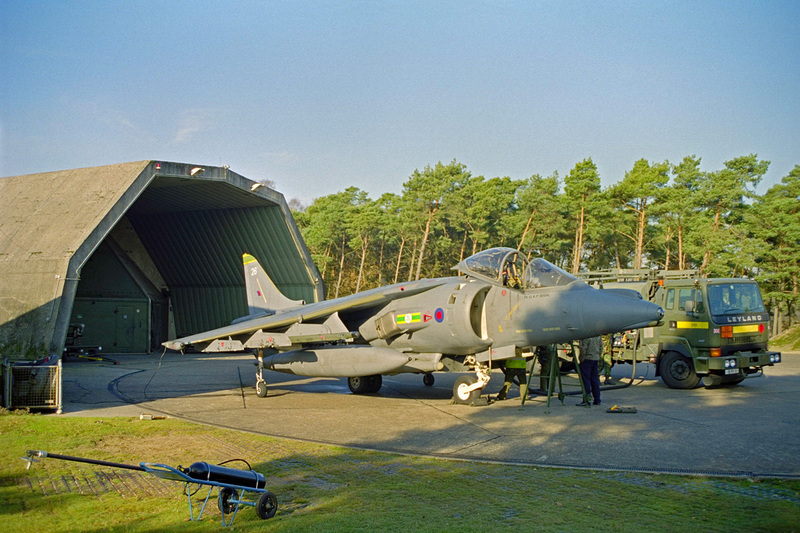 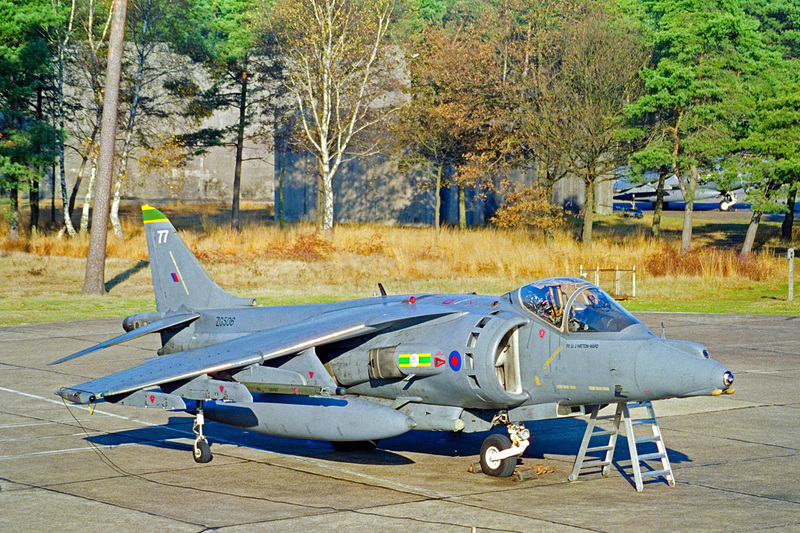 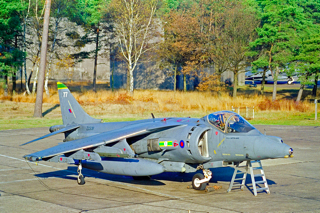 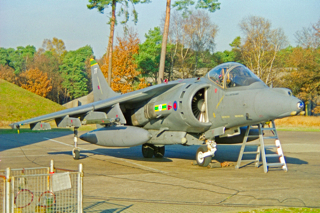 This base was the second last British fighterbase in Germany when it closed in 1999. Nowadays the airfield is in use as low cost airport Weeze. 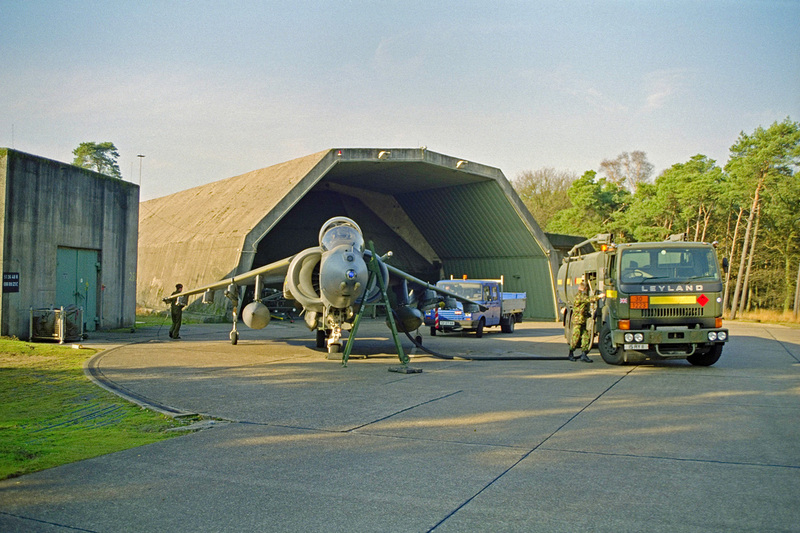 One year for the closure Spotting Group Volkel organised a base visit at RAF Laarbruch. 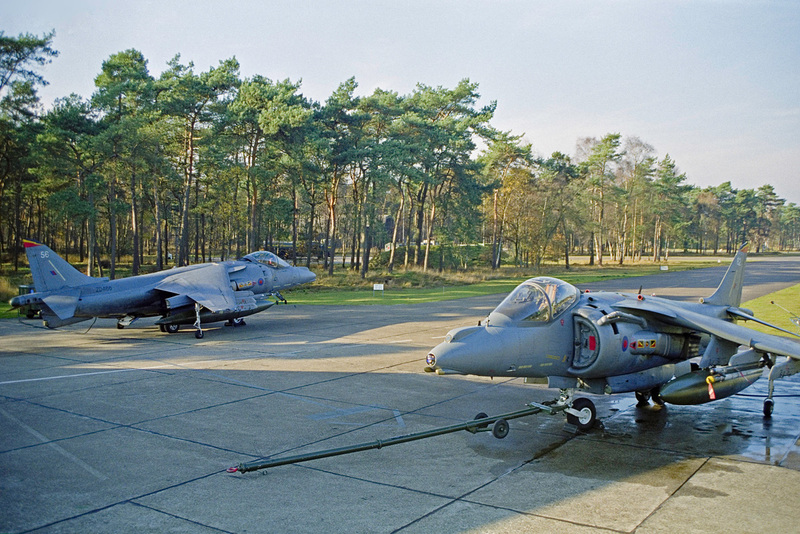 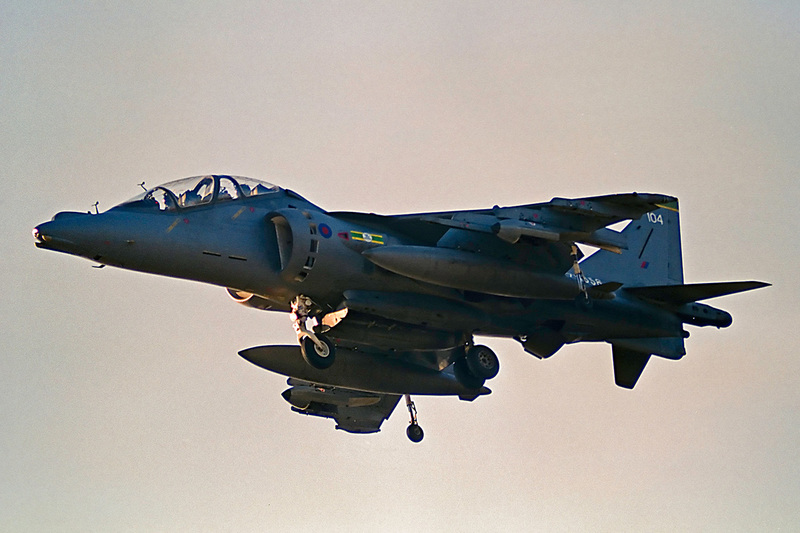 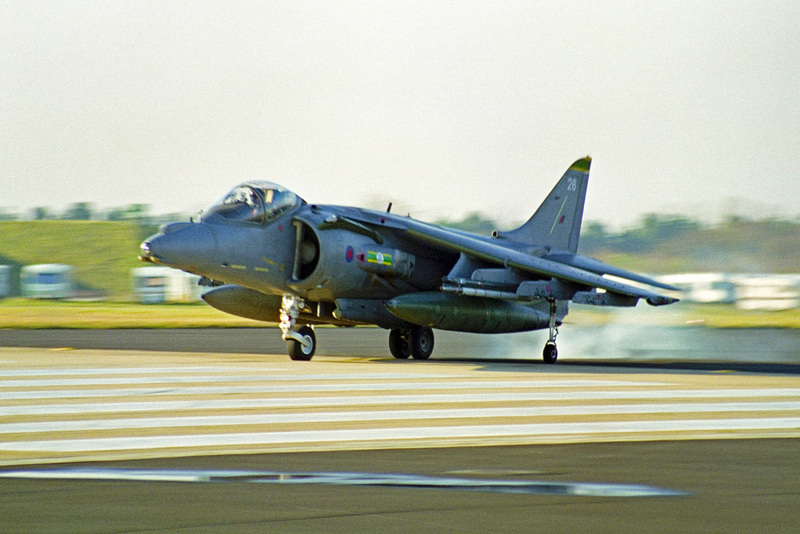 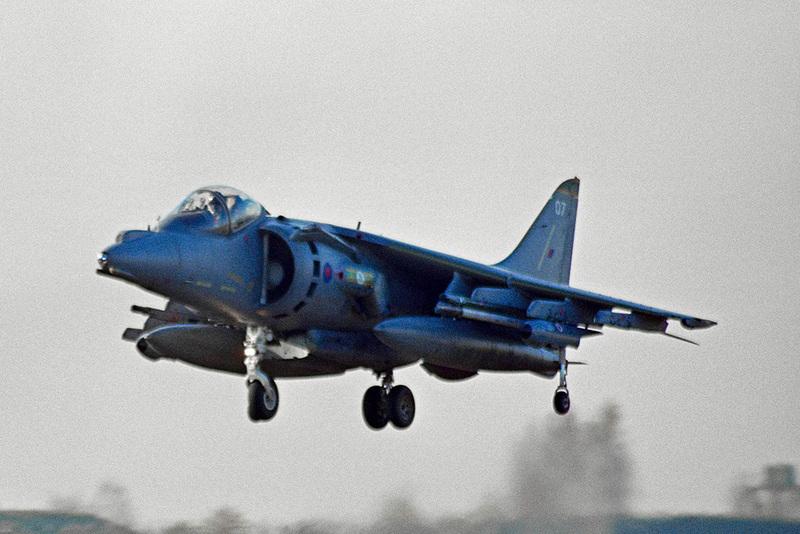 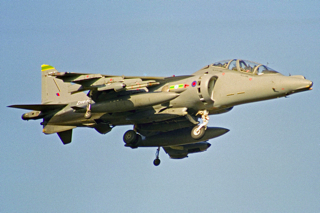 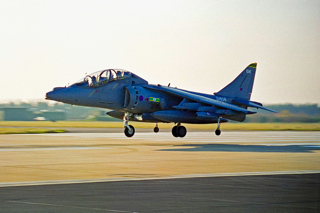 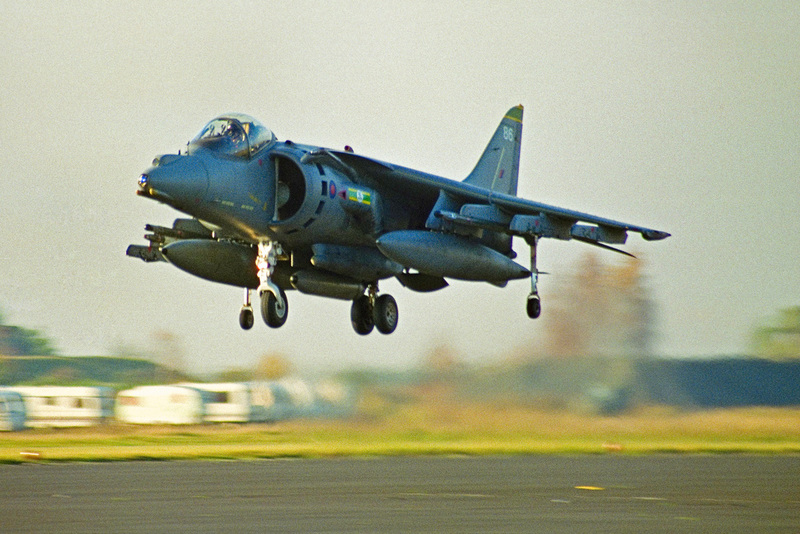 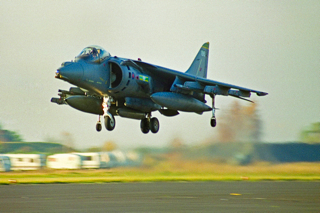 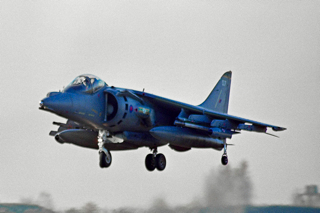 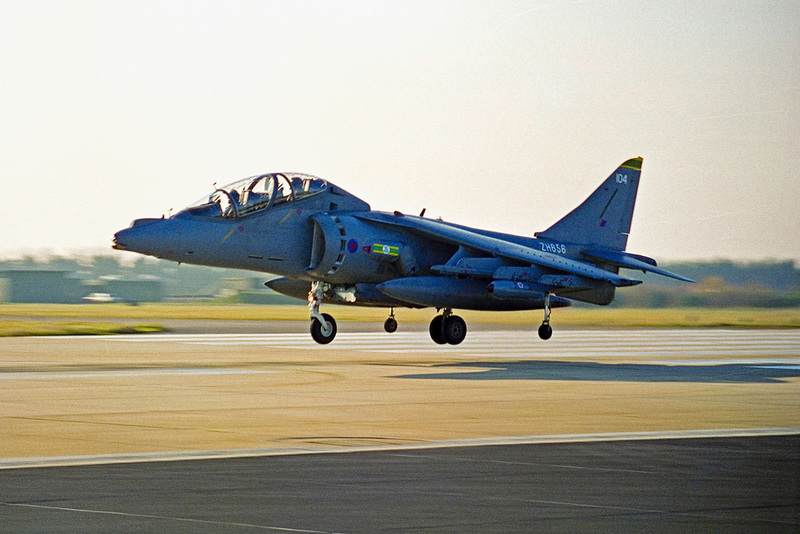 At that time there were still two squadrons present, 3(F) and 4(AC), flying the British Aerospace Harrier Gr.7 and dual T.10. During the day we had some photo opportunities near the runway and at the Hardened Aircraft Shelter (HAS) areas of both squadrons.